Beautiful Minds is a brand, I created at the start of 2017. The aim is to spread awareness of mental health in a brutally honest and Frank way. We want to support people who struggle or those who know someone who struggles with their mental health. We want to educate about the reality of living with a mental illness and above all, we want to smash the stigma, so more people feel able to talk about their battle with mental illness openly and not struggle in silence anymore. Yeah...but what actually is Beautiful Minds? Beautiful Minds is a mental health awareness Etsy shop and magazine. 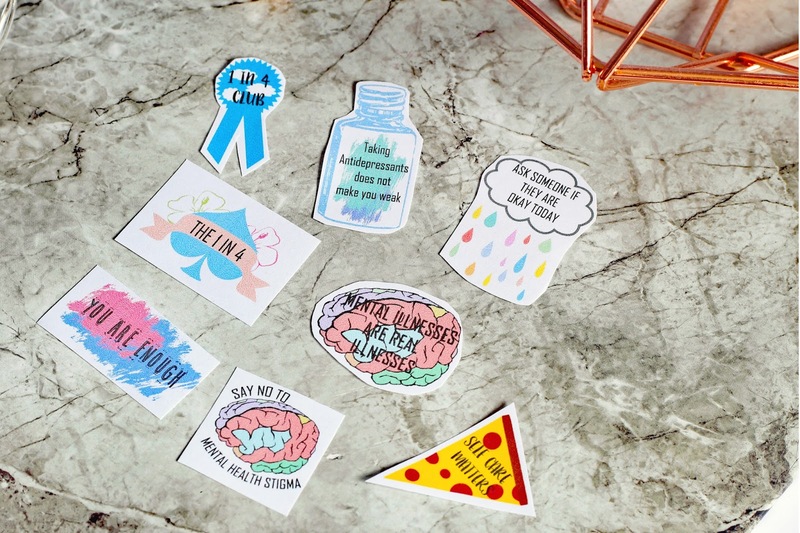 We sell stickers which we encourage people to put in public places to reduce the stigma and brighten people's day. We also sell a magazine ( From 15th July 2017) which also supports, educates and raises awareness of mental health. What can you expect to find in Beautiful Minds magazine? Every issue is jam-packed full of articles, advice, stories, DIYs and interviews covering a wide range of mental health topics. 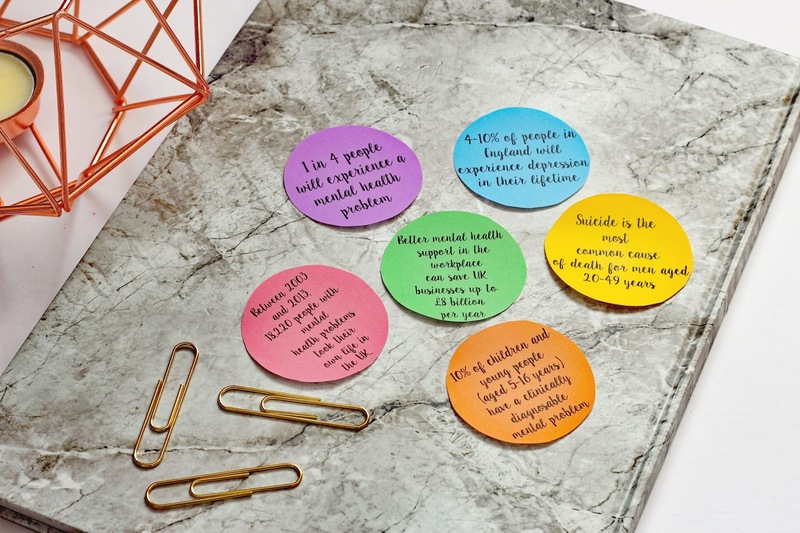 We cover everything from depression and anxiety to the less well known mental illnesses. We do not let any topic go untouched, no matter how much of a taboo it may be. All the stories and experiences shared in the magazine are honest and truthful. We do not sugar coat anything. We tell it as it is. The first issue will cost £4.50 ( There's a cheeky 20% off code on the day of launch though) This cost covers, the payment for the designer, advertising costs and to make every issue bigger and better than the one before it. Why is it a digital magazine? Will it ever be a print? Printing is expensive, let me tell you! Beautiful Minds is run on a tiny budget, however, the dream is to always have the magazine in print sold in WHsmiths, where the journey all began. The magazine is a digital download, so yes we do. However, stickers currently only ship within the UK. We are working on this for the future though. Can I advertise my blog/ business in an issue of Beautiful Minds magazine? Yes, you can! Advertising makes this magazine a reality. Can I contribute an article for the Magazine? Can I contribute a piece of artwork for the magazine? Yes! We are always looking for pictures to go alongside each article. They can be any medium: drawing, photography, digital artwork or painting. We do ask, though that they are sent over in JPEG format and are high quality. If you are interested email: Submissionsbeautifulminds@gmail.com and we will get back to you with an article that needs an image. Do you have any social media accounts, so I can keep up to date with news and developments? I'm so glad you asked, yes we do! You can follow us on Twitter, here, facebook, here and Instagram, here. Who designed the professional logo and magazine? Meg Burchell designed the logo. You can check out her blog here. Jade Wylde, is the graphic designer for the magazine. You can check out her blog here. How often is the magazine going to be released? I'm hoping for four times a year, so with every season change essentially. Do you have an email I can send my comments, suggestions or complaints to? I hope I've covered everything! If you still have any unanswered questions, then drop us an email or tweet and we will endeavour to get back to you, as quickly as we can. I am exceptionally glad to see this sort article. it is extremely helpful and energizing. the best favors of this article is giving appropriately thought to every last peruses and furthermore it's giving right impressions. Anticipating new article.